The second round of the Blancpain GT Series Asia took place at the Buriram International Circuit in Thailand this past weekend with Sandy Kraokaew Stuvik piloting his Porsche 911 GT3 R alongside Shae Davies, an Australian racing driver with Craft Bamboo Racing Team, the race would be Sandy's second home event in this series. 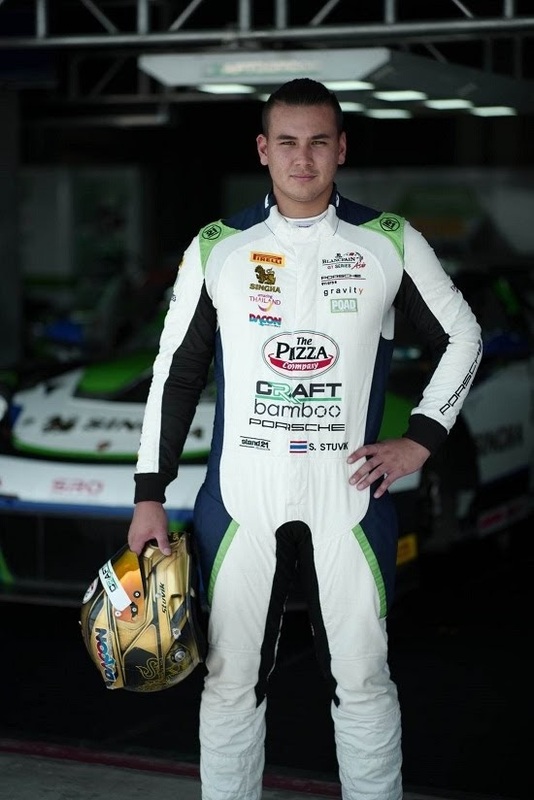 The Thai driver was excited to race on home soil once again and in front of the support of the Thai fans. 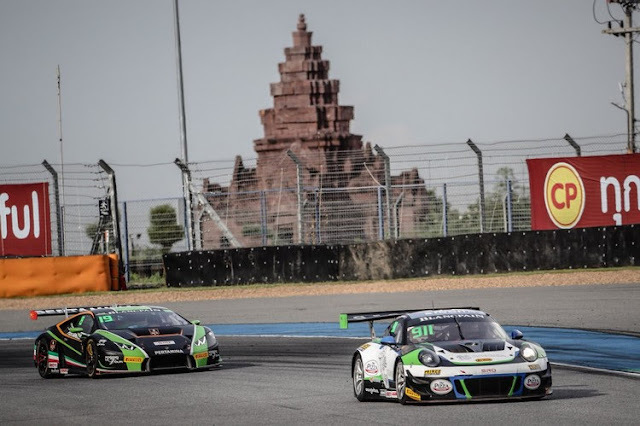 The Buriram event once again attracted a lot of attention from teams and spectators, with 30 cars competing. Friday was the free practice day where Sandy got his first feel of the Porsche on the Buriram circuit. 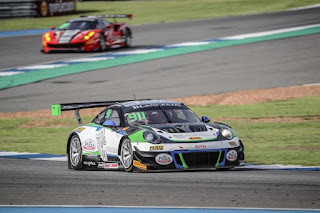 Together with Shae Davies and Craft Bamboo Racing, the #911 car got adjusted for the Saturday qualifying sessions. Saturday morning consisted of two hectic qualifying sessions of fifteen minutes each, which saw Sandy driving in Q1. The Thai driver drove as hard as he could, but could only achieve 14th place overall. 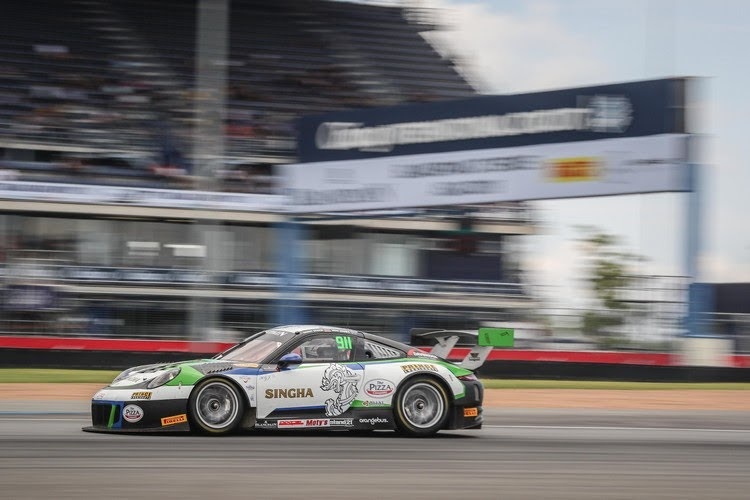 Shae took the wheel in Q2 and he too placed the car in 14th position for Race 2. 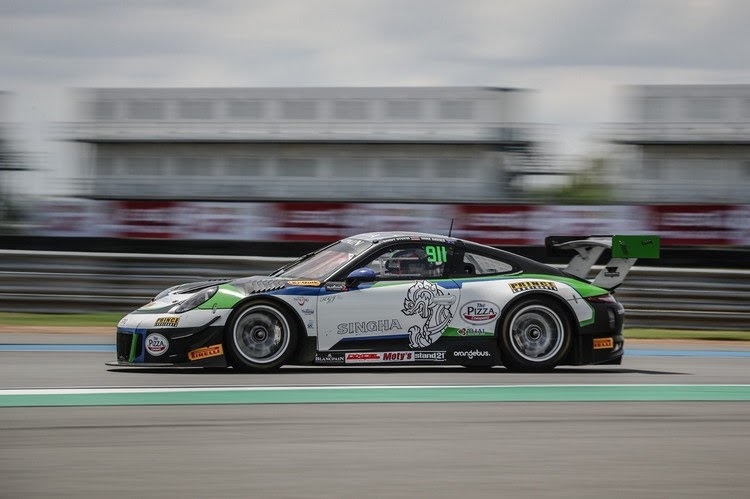 "It was a difficult session trying to get the best out of the Porsche, we are still lacking a lot of power in this heat and have tried to compensate for this, but unfortunately we have to accept that this is our position and we will do our best to regain some positions in the race." Sandy said after the session. 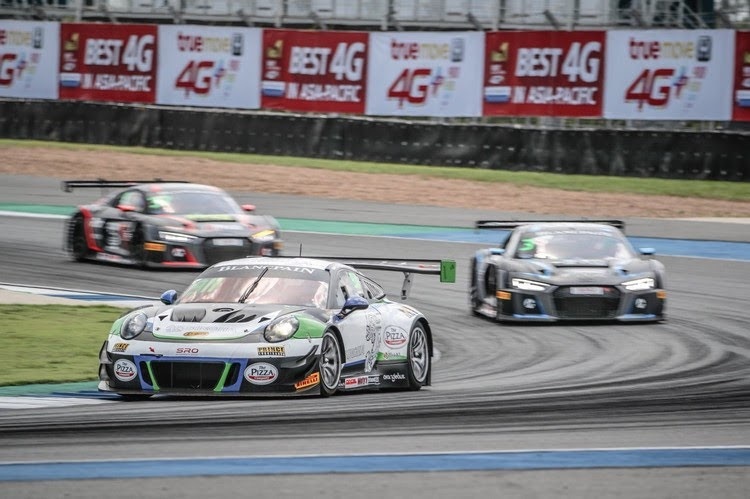 Sandy took the start for Race 1 and after a decent start the Thai driver started moving up the order, benefiting from some crashes between cars ahead. Sandy handed over to Shae who drove brilliantly to maintain in contention for points, but sadly had to concede to the much faster Audi cars behind. 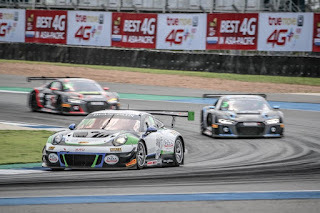 The Thai-Australian duo finished the race just outside the points in 11th place. Shae Davies lined up on the grid for Sunday’s race in 14th place and after a good start he managed to maintain his position against the fast group of cars around him. The Australian handed over to Sandy at the start of the pitstop window. 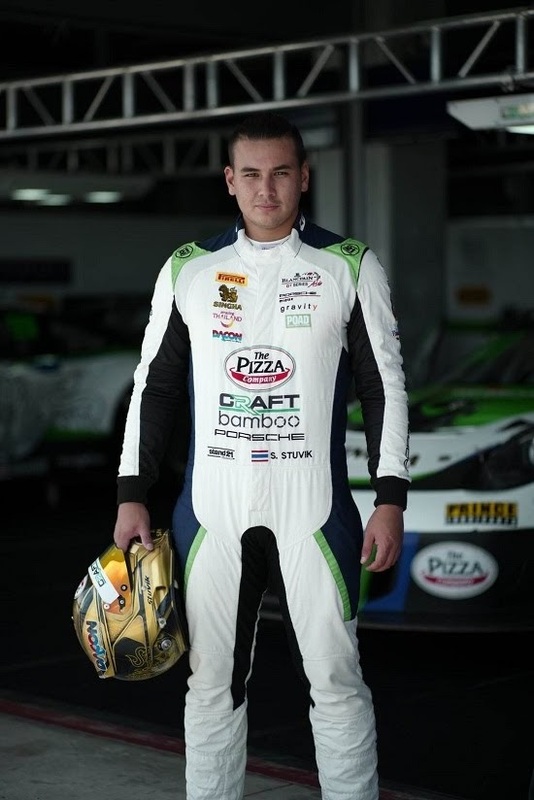 The Thai driver then began picking off positions and making his way up the order. 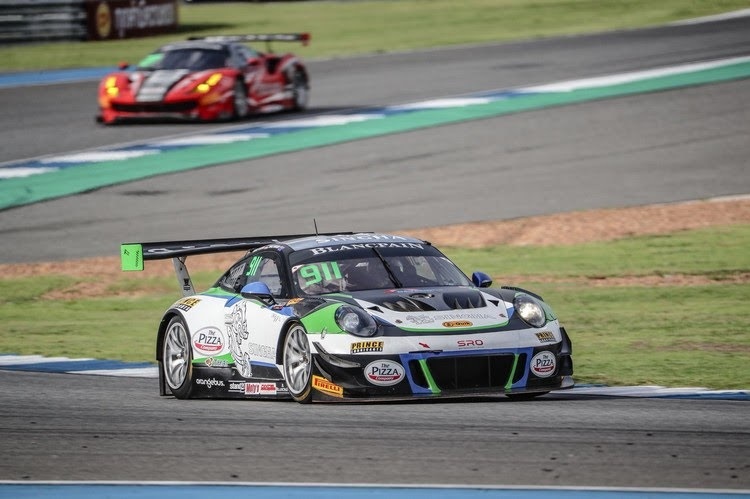 After a hard fought race the #911 Porsche found themselves in 8th position and collected 4 points. 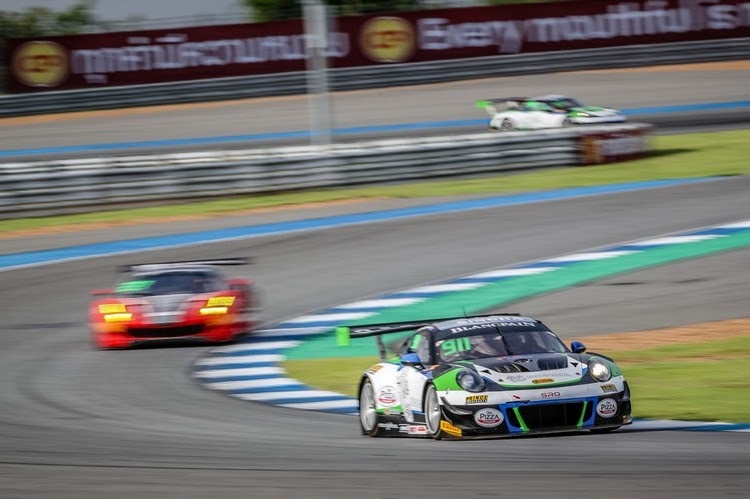 Sandy said "I'm happy we were able to score points today but I was hoping to get on the podium in front of the Thai fans. This was the best we could've done today and I'm glad with the progress we've made within the team. Moreover, I would like to thank the thousands of Thai fans that came to cheer, it was a pleasure to see and take pictures with many of you. 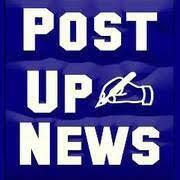 I hope to see you all at a racing circuit soon!" The next race will be held at the legendary Suzuka International Circuit, on the 30th June-1st July, 2018. 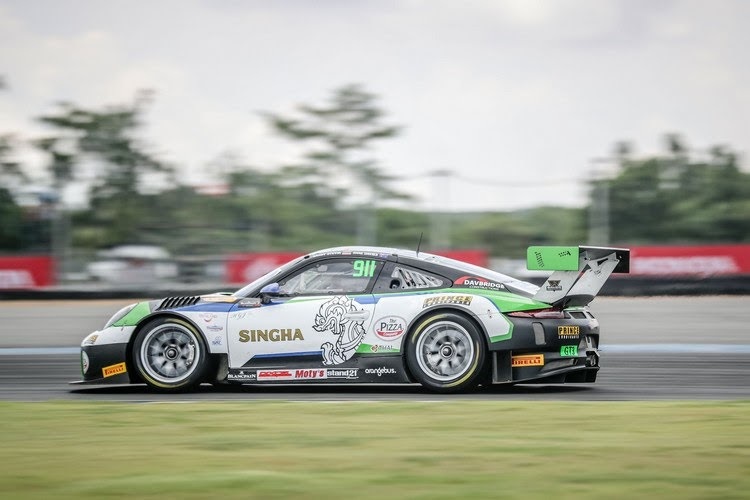 Sandy Stuvik is honored to be supported by The Pizza Company, Singha Corporation, Thai Airways, Thaiwings Travel Agency, Dacon Inspection Services, the Tourism Authority of Thailand, the Sports Authority of Thailand, and the Royal Automobile Association of Thailand.